Business etiquette is vitally important for creating a harmonious work environment and for representing your company in the best manner possible. Although many people consider their technical skills and intelligence to be their most important job qualifications, many employers consider the ability to get along well with colleagues and clients even more important. Being well mannered means two things above all else: respecting others, and treating people with courtesy and kindness. Whether your company is a highly caffeinated startup, a small gift boutique, or a large law firm, good manners at work are important because they emphasize your willingness to control your behavior for the benefit of others. As a representative of your company, you stand not only for yourself, but also for the company as a whole. If you are poised, courteous, and respectful to your company’s clients, they will extend their approving judgment to other employees of your company. Our business etiquette programs and products are created and customized specifically for our clients. Visit our product page to learn about Etiquette Survival business etiquette training materials and Corporate Kits. 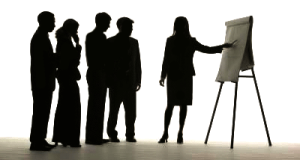 Or, contact us for our in-house train-the-trainer programs for your company training departments.